The Penguins received Brassard, prospects Vince Dunn and Tobias Lindberg as well as a third-round draft pick in 2018. The Senators received defenceman Ian Cole, a 2018 first-round pick, a 2019 third-round pick and goaltending prospect Filip Gustavsson. Finally, the Vegas Golden Knights, who retained 40% of Brassard’s contract, received forward Ryan Reaves and a 2018 fourth-round pick. According to CapFriendly, Cole – a pending unrestricted free agent on Jul. 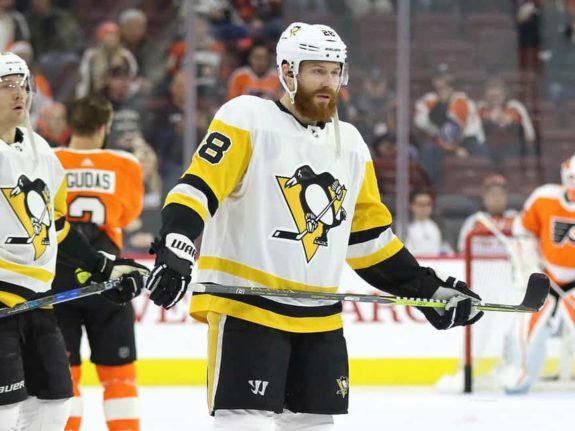 1 – was included in the trade so the Penguins could fit Brassard under the cap as his pro-rated cap hit is $1.15 million and the Pens had just $380,000 of cap space prior to the trade. Brassard had a modified no-trade clause in his current contract and had to submit a list of eight teams he was not willing to be traded to. He also has one year left on his current deal with an AAV of $5 million. 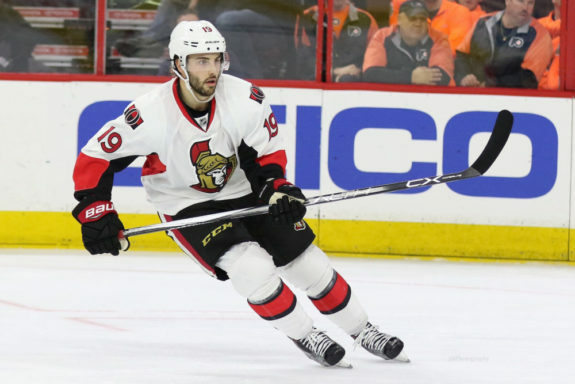 As for Cole, he is set to hit the free agent market this summer and will likely be moved again by the Senators before Monday’s trade deadline, according to TSN Insider Pierre LeBrun. In Brassard, the Penguins get a depth center that can add to their already impressive offensive output. In 58 games this season with Ottawa, he has 18 goals and 38 points. But the Penguins know that he has the ability to be a big-game player. In fact, in his final two seasons with the New York Rangers, Brassard had 60 points and 58 points respectively. While he might not hit that point again this season, he will be a big addition to the club in their hopes of going on another long playoff run. As for Brassard, he goes from a non-contender in Ottawa to a team looking to make it three Stanley Cups in a row. With the likes of guys like Phil Kessel, Evgeni Malkin and Sidney Crosby, the situation is a lot brighter for Brassard. On the other side of the trade, the Sens get another piece in Cole who – as mentioned – will likely be on the move again quite soon. The 29-year-old has 13 points in 47 games with the Penguins this season. That’s the second highest point total of his career following a 26-point campaign in 2016-17. While he isn’t best known for his abilities on the offensive end, Cole does play well from an advanced statistics standpoint. He has a career 51.2 Corsi For Percentage (CF%), while his season numbers are slightly lower at 50.6 CF% to date. On top of that they acquire a first-round pick in the upcoming draft – which will likely come later in the first round. As well they picked up Gustavsson who should give the Senators some confidence in their goaltending future as Craig Anderson continues to age. Gustavsson was drafted by the Penguins in the second round, 55th overall back in 2016. Playing for Lulea HF of the Swedish league, the 19-year-old goalie has an 8-9 record with a .917 save percentage and 2.16 goals against average. With the Sens in seller mode heading into the deadline, this deal works well for both clubs. Ottawa fills holes for their future, while the Penguins continue to build towards another Cup run as their core is not getting any younger. While the initial trade may have been rejected, the Golden Knights were ultimately able to get Reaves, a gritty forward that the Penguins acquired for a first-round pick a year ago, as well as a fourth-round pick in 2018. The cost was the retention of 40% of Brassard’s contract for the remainder of this season and next season as well. It’s a cost that the Golden Knights were willing to pay to get an able body like Reaves into their lineup though. While Reaves is known as a fourth-line player, his ability to drop the gloves, lay hits and be a major character player in a locker room without substituting his ability to play hockey has made him a fan-favorite anywhere he’s played. The era of fighters and tough guys in the NHL may be over, but Reaves has stood the test of time simply because he can play the game while adding an intimidation element to any lineup he is a part of. The 31-year-old won’t ever impress with his offensive potential with a career 31 goals and 59 points in 477 games over eight seasons. Still, he is far from a liability on the ice and his value speaks for itself whenever he enters a game. With a long playoff run in mind, the Golden Knights are hoping Reaves can add another layer to their team to help make their inaugural season a championship one.